Most of us use computers every single day, but do you remember the first one you ever used? It was probably wildly different to the one you have today. Compared to other inventions, advancements in personal computers have been astonishingly fast over the past few decades. Once computers made it out of giant rooms in universities and government complexes and onto the market available to the public (albeit at slightly eye-watering prices compared to today’s value), the industry really started booming, fuelling even more developments. For posterity, we decided we’d take a look back at the last thirty years of computing technology, although there’s more MAC than you may think. This bulky number wasn’t really available to the general public (if it had been, it probably would have cost around $40,000 USD at the time, which equates to a bit under $200,000 USD by today’s standards!) but it’s important to mention because it was such a huge influence on the computer industry. It sported features which the public wouldn’t see in commercially available computers until roughly a decade later, such as a window-based operating system with a mouse to click on elements in the graphical user interface (GUI) on the monitor. With entertainment features and clever marketing campaigns which involved giving away thousands of units to schools, Apple sold millions of Apple IIs over nearly two decades. If you’re wondering where the monitor is, there isn’t one – it was designed to plug into your TV set which allowed it to produce colour graphics. Before the 1970s, computers had been almost exclusively developed for calculations and word processing for scientific, engineering, military and commercial applications. One of things that made the Apple II so popular was the attachable game paddles which could be used for the game Breakout that came with every unit sold. PC gaming has come a long way since then! Fast forward a few years and you’ll come across something that looks more like the conventional computer set-up we knew throughout the last stretch of the 1900s. 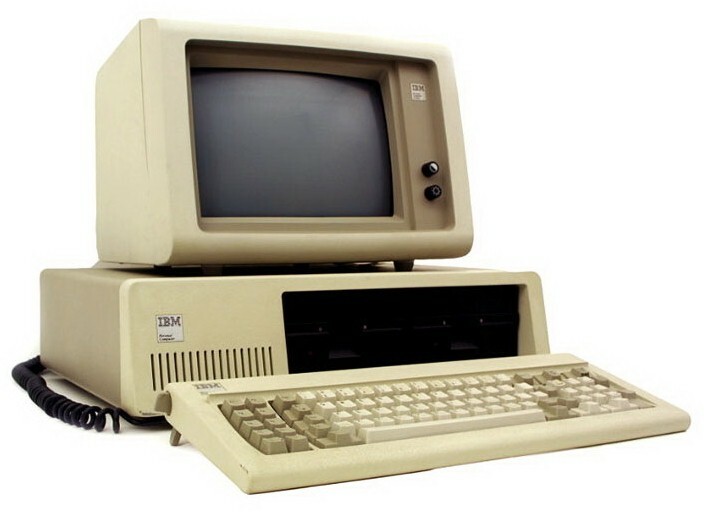 The IBM Model 5150, or the IBM PC, was one of the first models to be used widely in the business sector, running Microsoft’s MS-DOS operating system. Competitors started having to advertise the fact that their models were “IBM compatible” – that’s how you know you’ve got a strong hold on the market. Over the next few decades, the only models which weren’t compatible that still managed to keep a significant market share were Apple Macintoshes. Though Australians may know a Commodore as a type of Holden, it was also the name of the company behind the greatest-selling single computer of all time with more than 22 million sold in just over a decade. It was priced at $595 USD, which adjusts to roughly $1,460 USD by today’s standards. That might seem like a reasonable amount for a computer with decent specs (which it did have, for the time) but today’s generation might be surprised that 1980s consumers shelled out all that money for a machine with a measly 64KB of RAM. Unfortunately, Commodore International was notorious for terrible treatment of dealers and bad relationships with software developers, so despite the success of the C64, the company went bankrupt in 1994. 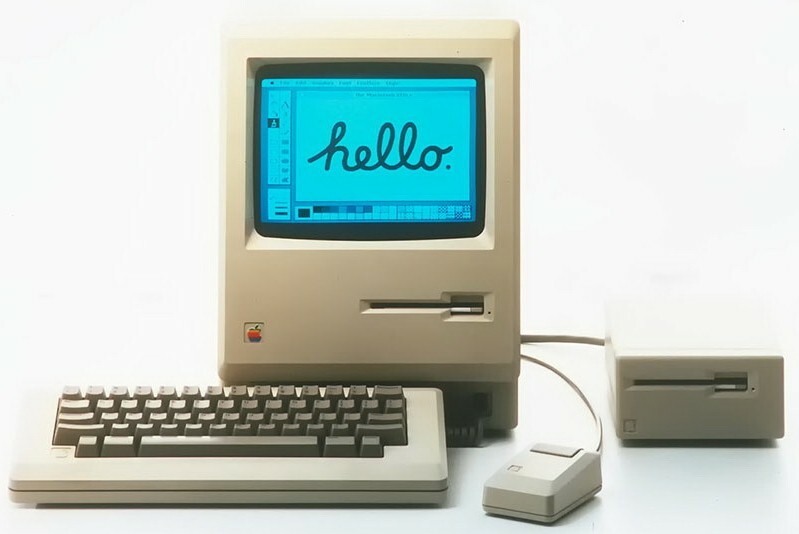 While its first computer with a graphical user interface (GUI) was actually the Apple Lisa released the year prior, it was the Apple Macintosh that really took off on the market. You might remember its iconic advertisement which played on George Orwell’s novel 1984. Inspired by the Xerox Parc Alto manufactured a decade earlier, it cost an eye-watering $2,500 USD ($5,729 USD in 2016) but people still wanted it because it was innovative and easy to use. 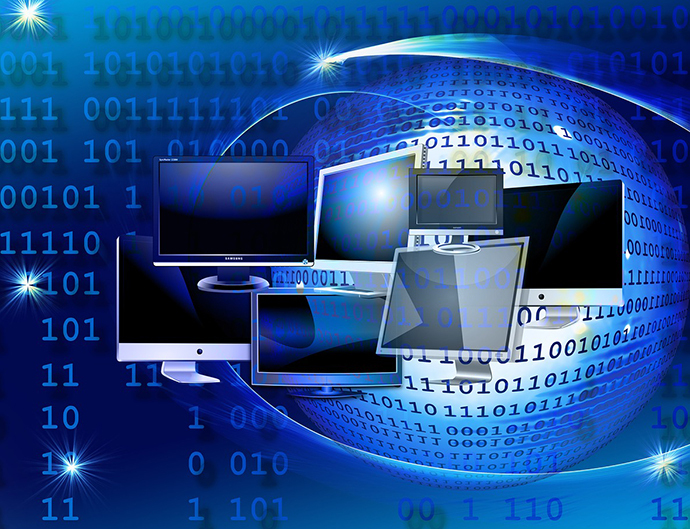 Over the next decade, the trends for desktop computers got fairly linear – bigger monitors, more powerful processors, more peripherals and memory at a more affordable cost as parts were mass manufactured. The next frontier was getting computers portable. Fast forward to 1991 and the Apple PowerBook started to get things right when it came to meeting the needs of the market (the original Apple “Portable” from 1989 weighed a whopping 7.25kg). 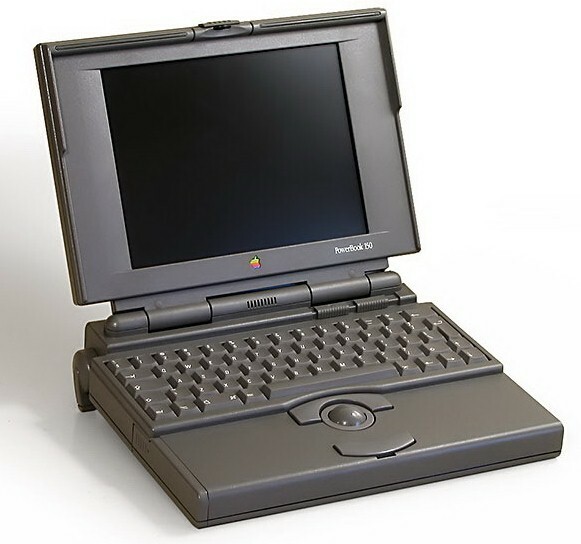 While this model set a lot of laptop standards such as an internal disk drive and palm rests on either side of a tracking ball or track-pad, not all of Apple’s portable computers were successful. You might recognise their 1993 gadget, the Newton, from a gag in an episode of The Simpsons where one of the school bullies writes “Beat up Martin” on the digital notepad, only to have the buggy handwriting recognition software record it as “Eat up, Martha”. 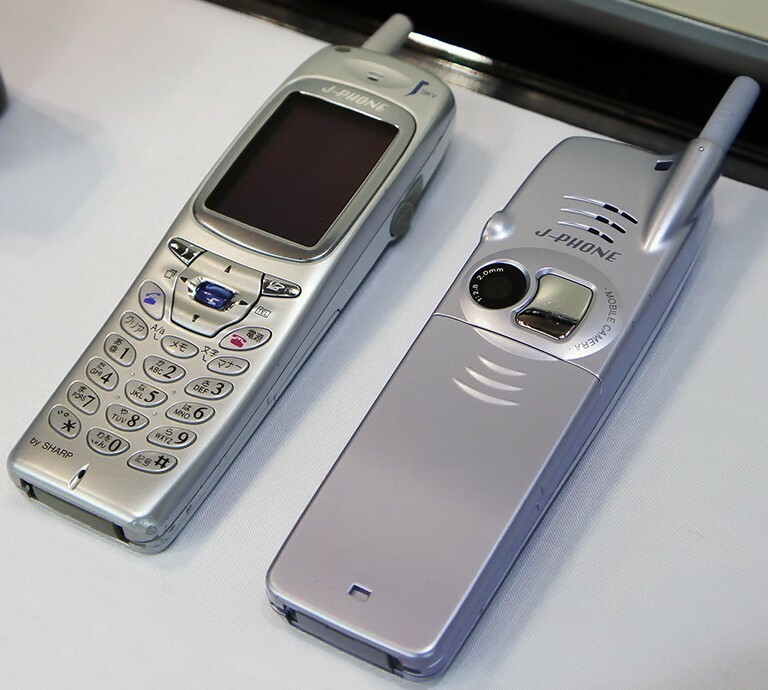 The new millennium brought with it the very first camera phone to the market, thanks to Japanese company SoftBank. With 0.11 megapixels and a 256-colour display, it might seem crude by today’s standards, but photos could be shared wirelessly and consumers loved it. The phone range expanded after just a month and within the next year, manufacturers worldwide would start integrating cameras into their phones. The smartphone side of “computers” really took off from there – take a look at the J-Phone and keep in mind that just seven years later, the first Apple iPhone was launched with all the abilities of a phone, camera, web browser and music player in one handy package, not to mention the current standard of a touch-screen interface. Niche-purpose devices have been successful on the market, too. As digital books (eBooks) became more and more popular, demand naturally grew for a device that could be used to access eBooks while maintaining the same portability as a real book. The problem with reading books on a laptop, tablet or a smartphone, however, was that staring at their screens for such a long time could be a real strain on the eyes. 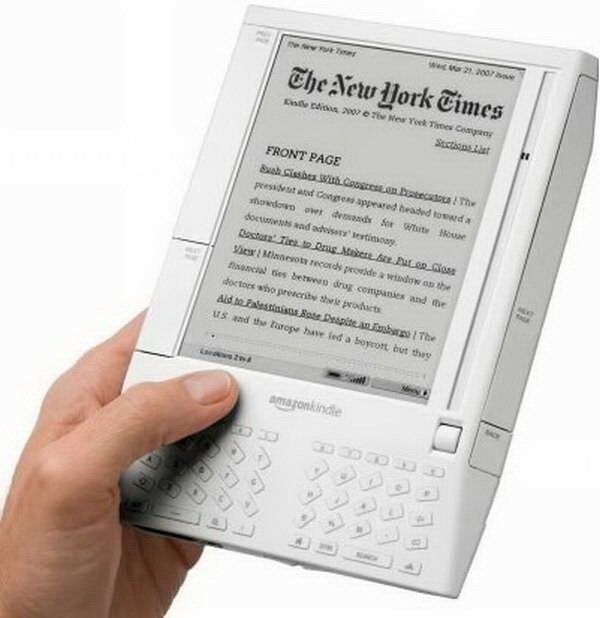 The Amazon Kindle, with its ultra-eye-friendly, muted light grayscale display and headphone jack to play audio books, was the first digital reader to really take off. So popular, in fact, that the first model sold out online within just 5 and a half hours. The brand has been going strong ever since. 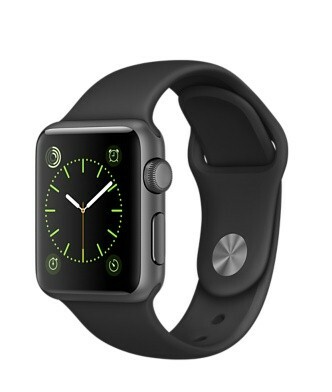 One of the most recent developments in personal computers was the Apple Watch, which launched last year. Somewhat infamous for its high cost compared to the perceived usefulness of its features which include environmental sensors and health monitoring – the jury is still out on this one as far as I’m concerned. After all, every technology has been expensive during its early days, and I’m sure there were some nay-sayers for mouse-driven devices and touch-screens back in the day. From high-powered desktop computers to portable devices, wearable computers are just another natural step in an industry that’s largely driven by consumer demand (which hopefully means we’ll see improved battery life in the next few years). What was your first computer? Tell us in the comments. Wasn’t the Apple II from 1977? Sorry not to see the Amiga A1000 or A500 models in this list. It was a neat package with colour, multitasking, virtual screens, data types, AREXX, full API and 1/2 the price of the monochrome Mac. I think thre was a sony ericson smartphone (P900..??} available much earkier than iphone, in about 2001, also with phone, camera, web access, music and touch screen interface. I still have a Macintosh 1984 and it still works. Amazing durability : unlike the newer Powerbooks with built in obsolescence lasting 3 to 4 years. I agree with Garry, the omission of the Commodore Amiga is significant. The Amiga introduced so many “firsts” for consumer computers that it should not be overlooked. In its time Amiga was by far the most advanced machine available. If only Commodore International hadn’t been such a cluster of incompetents (who never understood the machine they acquired) there may well have been a big C but no Apple today. It was Commodore 64 in the early 80s. Yes, I’m that old. Green txt on black screen. Pretty basic. Pluggged it in turned it on; cursor came with logon(flash;flash of said cursor) After several attempts of getting replies of : “Syntax error” I lost it, typed in what it could do with its log on! It replied: Immoral syntax error. ha ha . It least I know it was reading my input. Who do I contact to get permission to reproduce this article (with attribution) in a computer genealogy not for profit group newsletter? 1963 – I don’t know the name. It was a monster – filling a VERY large “air conditioned” room. Operators wore static-free clothing and ‘the thing’ shut down for 24 hours each week to be serviced. I used a Prime PC (possibly an IBM clone can’t remember) with DOS whilst studying EDP (electronic data processing) at Caulfield Institute of Technology in 1982. I may as well have been taught Swaheli. Did anyone catch the Julian Assange movie the other night? They were deal breakers! Great to see the interest growing in retro computers. I’ve been collecting them for years. If you’re interested in seeing some amazing retro commodore computers please check out my youtube “Commodore Cave”. Watch till the end for the best. Leave a like or better still a comment. 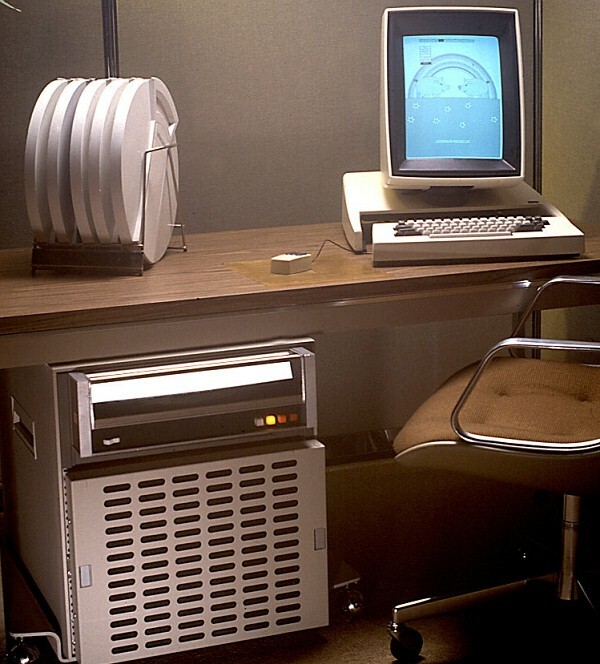 Great on personal Commuters but what about those computers like the Digital PDP 11-70 with drum drives and disk platers and tape drives and very sensitive to temperature. They took up a whole room. This was in the days of computer bureaus providing computer services like payroll processing and office systems at remote sites. I used to work at one. Those tape drives were a pain when they started to deteriorate. Out came the sticky tape. My first computer was a Scorcerer with a portable tape recorder as external storage. Good article, thanks. How about a little something on the monitors themselves, from CRT’s to LCD’s to LED’s… right up to the current touch screens and the upcoming glass/mirror and wearable screens? My first computer in 1981 was a Canon running on a variety of operating systems such as CPM86, Copal, Fortran and even DOS1.3. It came with Canon Basic software, two 51/4 disk drives formatted at 720 Kb. One disk with the program the other for data. Cost $10000, useful life 10 years. I changed to IBM compatibles in 1990 who lasted never more than 2 years. Great article. It started 10 years after I did with computers in 1964 with the Univac 1004. 1K memory, programming with plug wires and I/O with punched cards. But even way back then its printer was much faster then the average home printer today. This will test some, I had a Sharp MZ80K, never got much use as everything was stored on a tape cassette which was painful to find anything. After that a BBC computer then a Amstrad IBM compatability…. with floppy disKS and windows 3.1. “Portable” computers predate the 1991 Apple Powerbook by a long way. I still have an Osborne Executive from about 1982. Twin single sided floppy disc drives and amber screen – much easier on the eyes than the old green screen. Still works but is totally useless. “Portable” meant “Luggable” – it looked a lot like a sewing machine in its carry case, and weighed at least as much. It belongs in a museum. Anyone know a technology museum that would like it? My first computer was an Atari (not the games version but an actual computer)way back in 1980. They were terrific computers although only 8 bit and later 18 bit, needed far less RAM than a PC or MAC. Calamus was one of the first DTP applications supporting an own vector font format, and used only a fraction of the RAM now used for the likes of Publisher and Word.Ah, the memories. Looking at some of these comments, it makes me wonder why some of them didn’t use the most common of apps now; a spell check. Robin: Personal COMMUTERS, I thought they were people who work from home nowadays. Gary: Ericsson, it has two s’s. 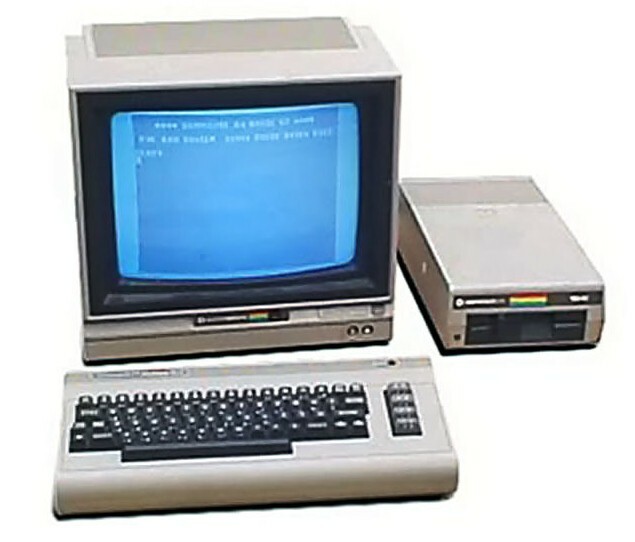 I remember selling the TRS-80 (sometimes referred to the Trash-80) in the late 70’s and early 80’s and I recall it’s obsolescence due to the proprietary DOS it used. I suppose most of them became Trash at some point. If you discount where we have come from, you won’t make it to where you are going. I still have my Amiga 1000 bought new in about 1985. Been quite a while since it was used but an amazing machine in its day. Cost around $3.5k, and 3.5 inch floppies were $100 per box of 10! The first computer I used was a Micromation running MP/M (the multi user version of CP/M. 1982, I think. My own first computer was the ubiquitous Microbee. I saved for the best part of a year as a teenager for a second hand Commodore Vic 20. Then again for a 3k memory expansion cartridge. I thought it was the most amazing thing in the world when I finally got it. Sorry to hear you feel this way, we apologize for any troubles or frustration caused while we worked towards rectifying the issues that were at hand. At the time of the outages, we did have public event listings on relevant Network Status Pages (http://www.iinet.net.au/status/) and social media platforms. For future reference, if there is a fault or outage impacting services in your area they will be communicated via these platforms. No mention of a Commodore PET CBM. I bought one in the very, very early 1980’s (1981, 1982), I hadn’t even heard of IBM and I think the Commodore 16 had just come out. Basically what is now known as a desktop PC, it had 32K of RAM, that’s right 32K of RAM, and I also bought as an optional add on, a external tape drive using standard cassette tapes and a external dual (from memory) 180K floppy disk drive, no such thing as a hard drive back then, and it cost $4000 back then. This wasn’t a toy and was so advanced of anything at the time. FYI – CBM, Commodore Business Machine, were used by some large companies at the time that did not have what was a main frame computer. I am so surprised the Amiga range of computers was left out, highly advanced in its day with custom chips for graphics and audio. My first computer was a Sinclair QL with 128K of ram and two inbuilt micro drives far more advanced then the cassette system offered by Commodore 64. Nevertheless they had reliability issues.It also came with a spreadsheet,Word processor database and an excellent chess game. The first computer I used needed pencilled dots on cards & spat out a paper printed answer in the mid-70’s. By the end of high school in early 80’s my family moved onto an Amstrad PC equivalent to the commodore 64. Aah the days of nice easy programs that fit on floppy discs! I had a ZX81 (https://en.wikipedia.org/wiki/ZX81) with 2K of RAM on board, and a 16K expansion pack, suffering from “RAM wobble” that occurred when someone walked by. Reboot time! The ACMS has a tremendous historic computer collection, but we seriously need help to make a public display p!ace! We’re in the Sydney region with 2 stuffed stores. Do see our web site. What bout the inventer of the modern electric digital computer, Alan Turing in England in the 1940’s? Just going back to 1974 is a bit of an insult to history! My first computer was a Vic 20 by Commodore which came out before the Commodore 64 which I replaced it with. The Vic 20 computer was completely built into the keyboard. A lot of non-mainstream home computer history is unknown to outsiders. Following the demise of Commodore Business Machines (CBM) in 1994, it was up to committed users, and some remaining software & hardware houses, to try to keep development ongoing. I employed a maxed-out 68060 at 50 MHz cpu A2000HD, with 2MB Picasso II graphics & 64MB RAM, as my first internet workhorse in 2000-1! For a period I had a functioning AmigaOne XE PPC, which ceased working in 2012 running AmigaOS 4.1 on 256MB RAM. The PORTABLE computer the C64 “Transportable” computer with a 3″ screen and the removal keyboard, that was my first computer. First computer contact? – early 1960’s. Input by a keyboard – no screen! Output via a ‘golf-ball’ printer. Yes, a simple ‘word-processor’. It filled a room (we had to sit outside) and was only available by booking a session. It saved days and days of time in putting contract documents together. The memory held many, many ‘standard’ clauses and eventually we could just select those we wanted. A great advance using the very latest technology! Interesting to learn that computers started in 1977. I wonder what I did for a living using what they told me was a computer in 1968! Seriously, don’t forget that commercial computers started in the 1950s with the LEO (Lyons Electronic Office) in the UK, and developed on from that. The first one I used was a LEO III, pioneering because it used solid state (transistors) and not valves. If you really want to visually demonstrate how things have changed, do some sums with what a FLoppy Disc held, and what current (eg) 2Tb drives look like for the domestic market. Or even computer Memory (RAM). My first PC was an Amstrad 1512.., even before the Commodore 64.., but I can’t believe the jump in technology when I bought my first 486 with Win3.1 and Dos6, just to play Chris Robert’s “Privateer”. “Still” the best game EVER produced.., bar none. 1990, 386 DX with 105MB HDD, 2 MB RAM, 14 inch screen Windows 3 and dot matrix printer. $3,750. Before the C64, the old Vic 20? An interesting article showing that of the early players there were not many that stayed in the race. I started with one that was fun to learn simple programming on in 1979; the MICROBEE. Internal RAM of 32Kb. Only a few pages of text, and storage provided by an external cassette tape drive. Started on the old typewriter Olivetti golfball in 1959 at 100 wpm – in grass huts in the middle of the night all around PNG with the crown law. First job in Brisbane was a CSIRO computer and then a big Mainframe at the Taxation Office 1966. Now after a few personal computers over the years I have a laptop at last. That’s all,I’m past it! The Amiga actually had an operating system ” Workbench ” which was like an early version of Windows before Microsoft And it was a good gaming machine in it’s time! My first computer was a Commodore Vic 20 which had the computer built into the keyboard. to save a program you needed one of the old audio casette tape recorders. I later traded it in on the commodore 64. +1 for the Microbee. My first was also a ‘Bee, in 1983. It had dual 5.25″ drives and 32Mb of RAM. Fantastic machine. My original preference was for a Kaypro II. It was the first of the “portable” computers (albeit at something like 10kg and the size of a carton of stubbies). It also ran CP/M as its OS. This brought back memories! One of the first computers in Australia was installed in Rydalmere, Sydney in 1959. It was the Powere Samas PCC model. Languages were unknown- it was Machine Language ! Done with soldered boards and I/O with punched cards But even way back then its printer was much faster then the average home printer today. However it never was able to count accurately. Oh what glorious fun. Hasten the day of magnetic tape. About the same time as IBM had Commodore, “Model B” was used in Western Australian Primary classrooms. From memory I think these machines were an English make. 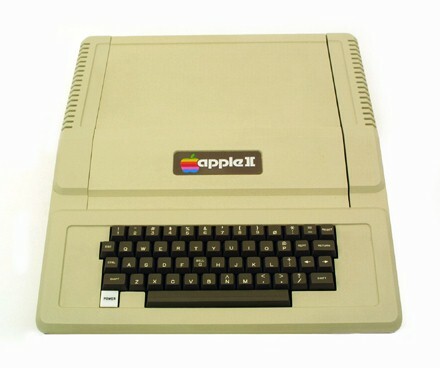 mid 80’s I got the latest apple 2E with 256mb memory, for my business, it took 9 floppy discs to back to back up, but it handled all my accounts & parts inventory ,with monitor -keyboard & printer ,cost was $9,500. I had to get a bank loan & the dealer knew nothing when anything went wrong ,which was often ! The Tandy Color Computer (CoCo, TRS80) & it’s little brother the MiCo micro TRS80 started with 4kB of RAM & could be fully expanded to 16kB, even 32kB in some cases. The portable “Datasette” tape recorder held all your programs. It would happily run descent-sized data-bases, connect with Bulletin-Boards (BBS’s), generate & decode Morse code (C.W), receive & print out satellite weather maps from a short-wave radio, etc. It was easily programmed in “Color Basic”. Technology has been steadily advancing backwards ever since, & each new operating system simply bloats exponentially with more “bells & whistles”,error-logs,reports,statistics,& other unnecessary CPU activity. Pity! Bring back frugal programming! 1968 – Elliot 503 – Algol language – paper tape storage and program preparation on a flexowriter (sort of electric typewriter with paper tape reader and punch – 3 runs per day if you were lucky – filled a 6metre x 6metre room – used OC44 discrete transistors for fast logic – OC72’s for slower stuff – Main store was 4K words each 40 bits, backing store was 16K words – both magnetic core. Hardware floating point – about 0.1 MIP – lifetime was about 15 years. I learnt about computers on an Apple IIe at work but my first computer was a Apple Mac Colour Classic, with a little Stylewriter printer. I loved it and it got me through Uni. I’ve still got both of them but the computer seems to have died. I don’t use them now of course – I’ve graduated to bigger and better Macs! I’ll never part with them and I intend to put them in a display at my the local History Museum where I volunteer. My first “computer” was homemade using an 8080 CPU with DIP switches for inputs and LEDs for output. It had 256 bytes of RAM which took a long time to fill using those DIP switches. That was my grade 8 science project nearly 40 years ago. In the following year I built a TRS-80 clone with a modified portable TV for a monitor. It was dual boot running either TRS-DOS or CP/M and had 64K RAM although TRS-DOS could only access 48K of it. I started out with a cassette tape for storage but soon moved to 8 inch floppy disks and then 5 1/4. Had a series of printers from the “golf ball” type to daisy wheel and then dot matrix. My son’s 1st was a Vic20 plugged into the TV screen when he was 8 years old. He played the only 4 games several times, became bored, then started reading a programme and typing a page and a half of digits with 1 finger. He became tired halfway through and asked me to finish the typing. The triumphant result was a very basic little snake crawling across the screen … but sufficient to inspire him into an IT software development career which has taken him to many countries and paid handsomly. The first was as a Service Engineer on an ICL 1900 in 1968 which I not only ran programs on but also had to fix along with paper tape and punch card machines. After that it was 1902/3A, 2903, ME29. I still own an IBM 5150. Others along the way that I have had as part of my hobby side were the Microbee, Vic20, SORD M5 and STAMP. So far I have spent 48 in computers and they have been very good (and very frustrating) for me. My brother who is now age 50 had his first PC back in the early 1980s a Vic 20 My teenager son has been using computers since the age of 3. The first PC he used was a Gateway computer back in 2002. My first computer was Packard Bell Pack Mate 5996 ran Windows 95 back in 1990s. My brother’s first first computer back in early 1980s was Vic 20 follow by C64. My son’s first computer was Gateway PC that ran Windows 98 can’t remember the model number.